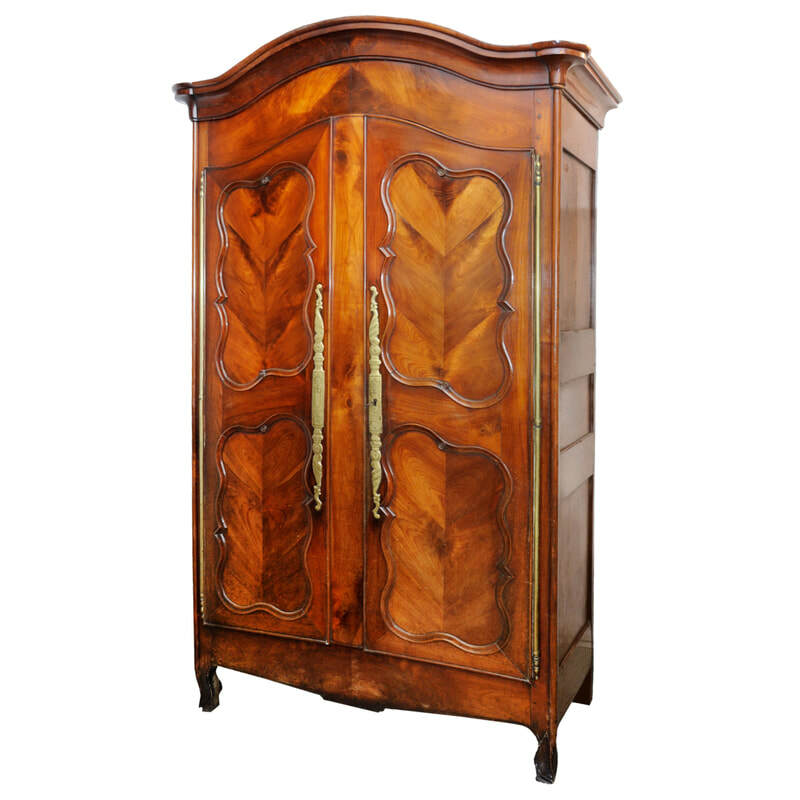 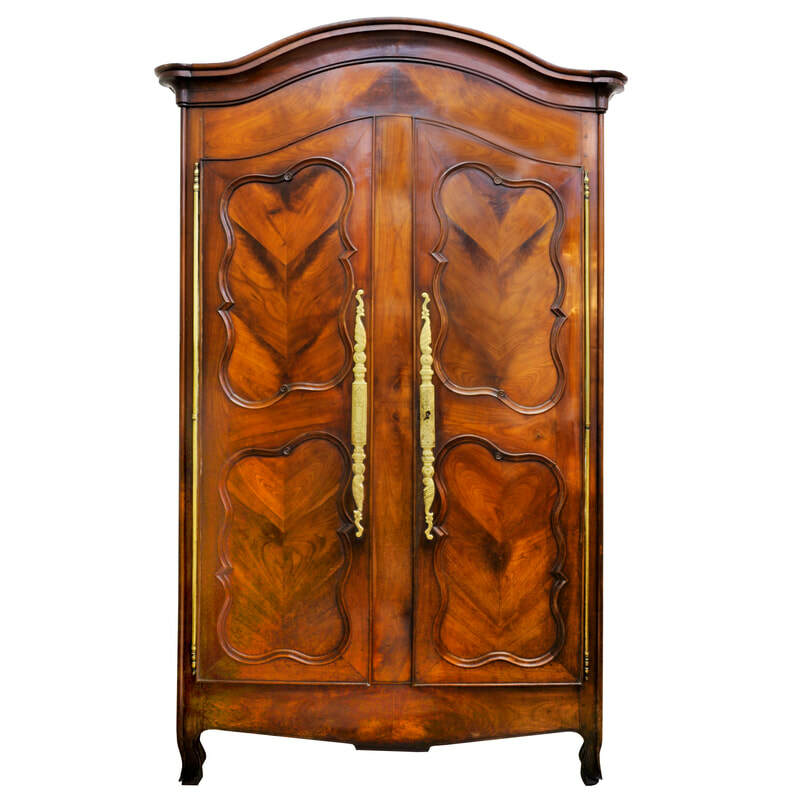 ​A French mid 18th century bonnet top cherry wood Armoire. 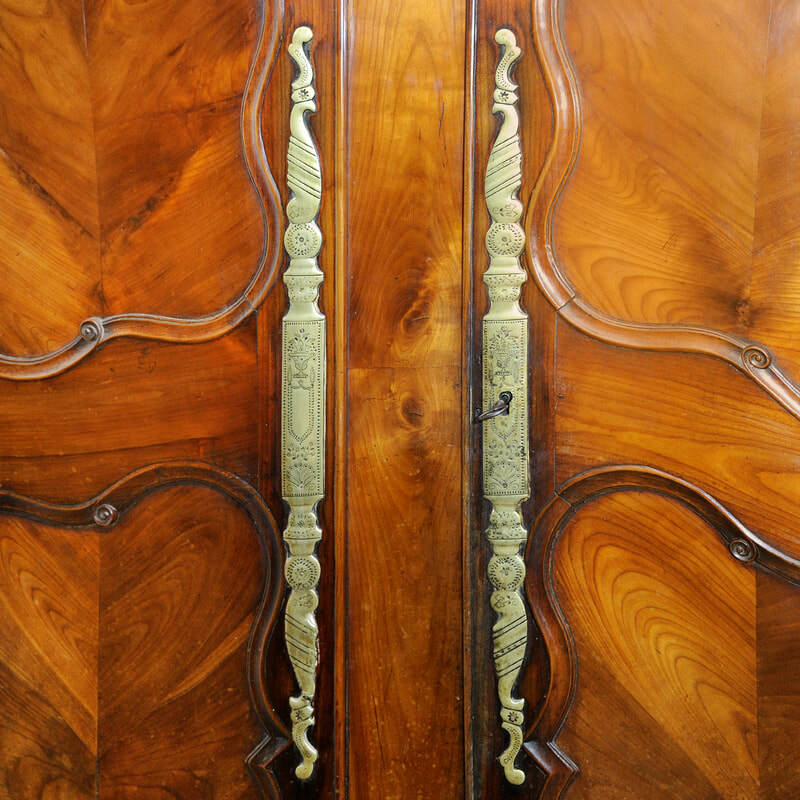 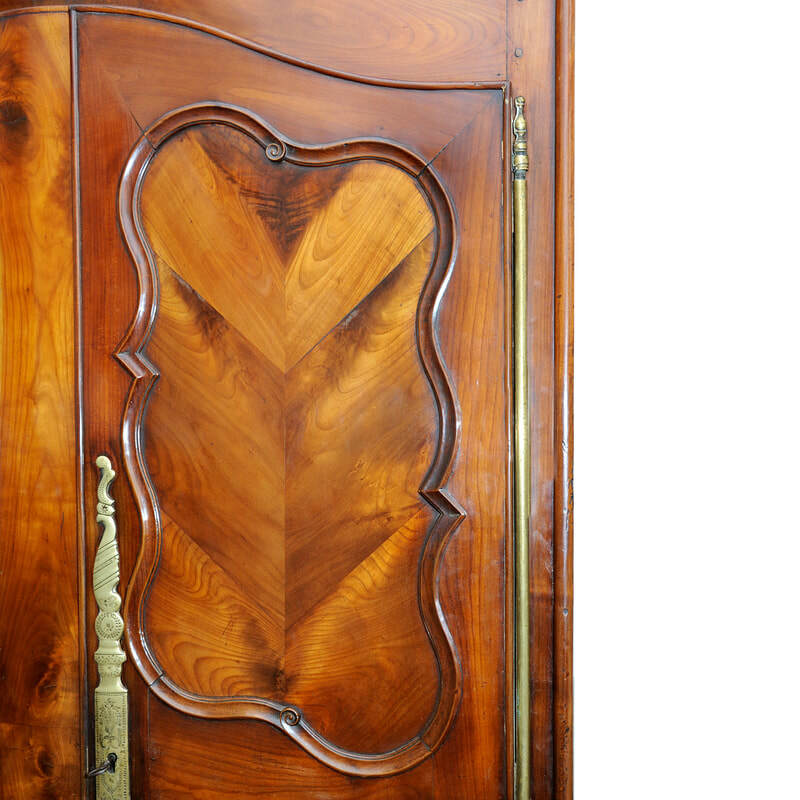 The doors feature shaped panels with stunning figured cherry wood chevron decoration, also retaining their original brass furniture, lock and key, circa 1750. 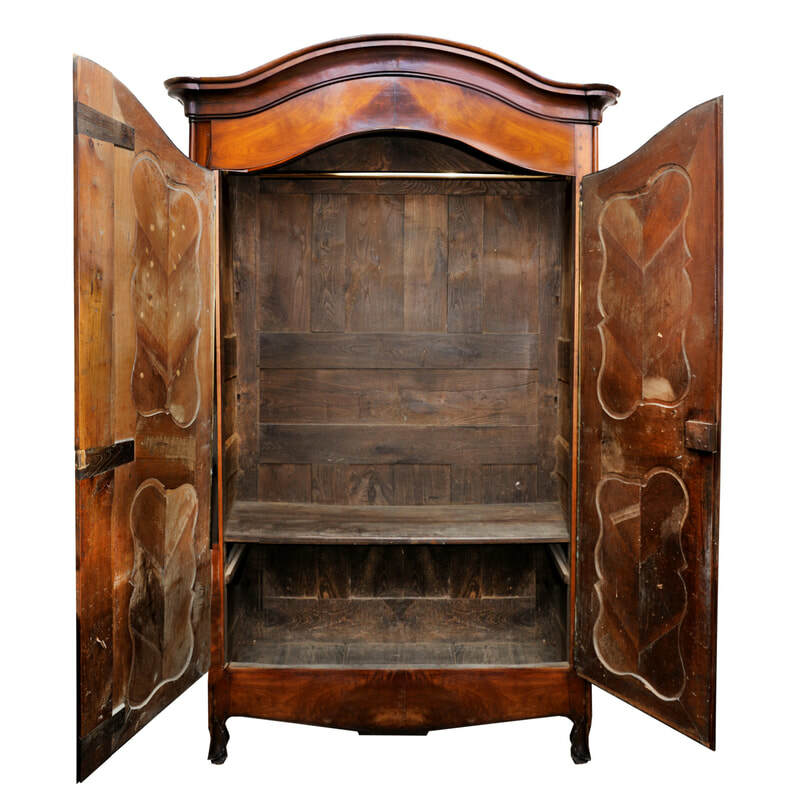 The inside consisting of a full width shelf, situated near the base and a brass clothes rail at the top.